This holiday house is a cosy and child friendly. 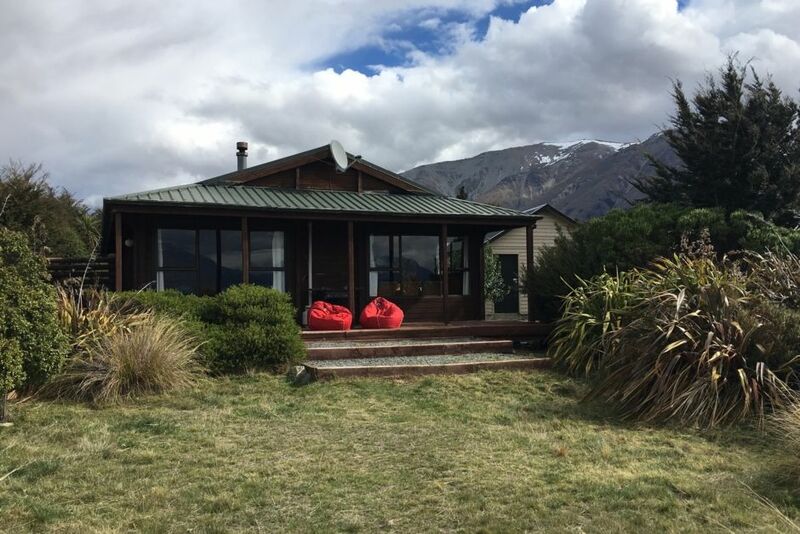 The location offers amazing views of lake Ohau, Mt Sefton, Ben Ohau, and is only 20 minutes away from the Ohau ski field. If you don't ski then salmon or trout can be fished for in the rivers and lakes. In summer you can enjoy water skiing and swimming, especially in Lake Middleton. At the back of the house is a space for the kids to enjoy while the adults have a drink by the fire or on the deck. There are many fantastic walking and mountain bike tracks close by. There is the Ohau lodge if you feel like a meal out. Clay Cliffs near Omarama are amazing. Twizel offers good coffee and many lunch or dining options as well as a indoor skate rink. Mount Cook and beautiful Lake Tasman are well worth a visit, as is the Aoraki Mackenzie International Dark Sky Reserve basin for awe-inspired stargazing, 1 of only 8 in the world! The Alps 2 Ocean (A2O) cycle trail passes very close to the property. Please note that we do not provide linen and cleaning. We expect you to bring your own sheets, pillow cases and towels and clean when you leave the house. Ohau is a very quiet village, there are no shops or cafes. The nearest supermarket is in Twizel. There is limited cell phone coverage in the village but we offer free unlimited WIFI in the house. There is a WII in the rumpus room. Smoking is allowed outside only. There is room on the street for safe boat parking. Cellphone coverage is available in some areas of the house. Free unlimited WIFI. You must bring your own linen (sheets, pillow cases and towels). My husband and I stayed here and enjoyed the extra space and great views of the lakes and mountains. We did not find the trash bin, down the road, mentioned in their welcome packet so it took us some time after our stay to find a place that would accept our trash. Not normally an issue for someone who lives in NZ and could take their trash home, but as we were tourists, that created a few problems. Otherwise we really appreciated this lovely place. Thanks! Loved the location. The deck is awesome. However the place has wires taped everywhere and light switches to no where. The dishwasher doesn't work very well. We only received the email with the code an hour and a half after we were allowed, and tried, to get in. Even though we had paid well in advance. It is well fenced for kids and the view is magic. Fantastic location with breath taking views out to Lake Ohau and mountains. Quiet and comfortable with loads of space.